Dean Herald described my designs as 'timeless' when he saw my work at Designex. Dean does great garden designs here in Oz and won a gold medal at the Chelsea Garden Show. He famously got to chat with the queen for 15 mins while showing her round his garden there. To me that word 'timeless' describes that they will remain in style and work well in a range of settings.That describes this mirror perfectly. 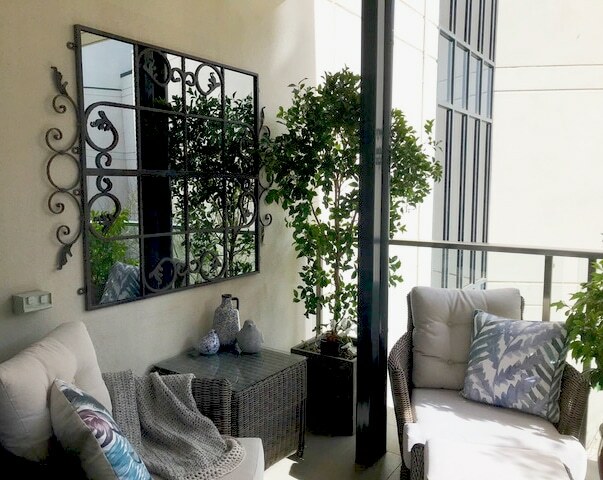 This outdoor mirror is available in two sizes to suit small or large walls. 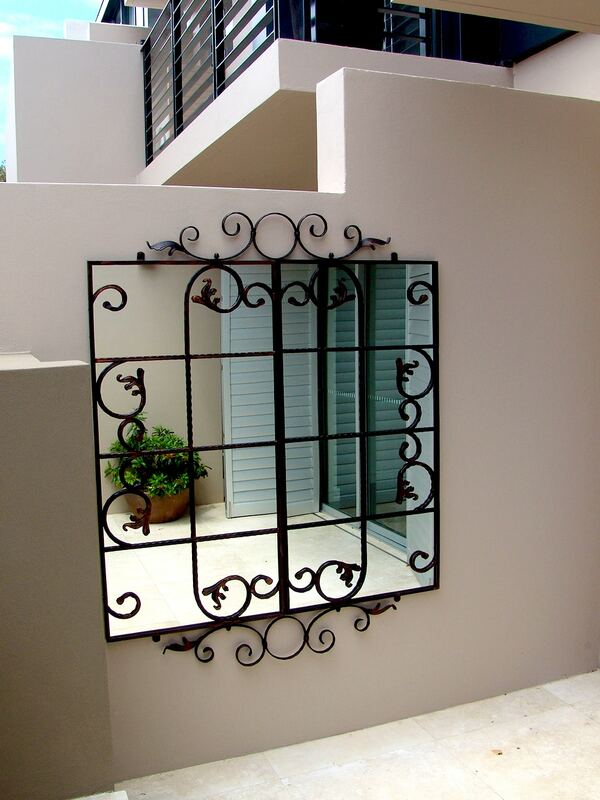 Need something guaranteed to bring life to a plain outdoor space. 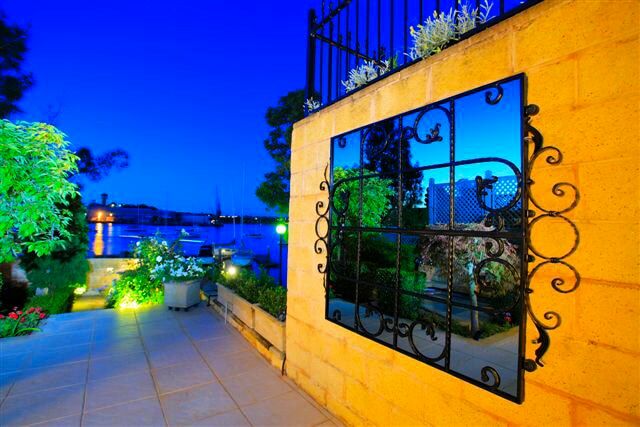 This outdoor garden mirror is perfect. 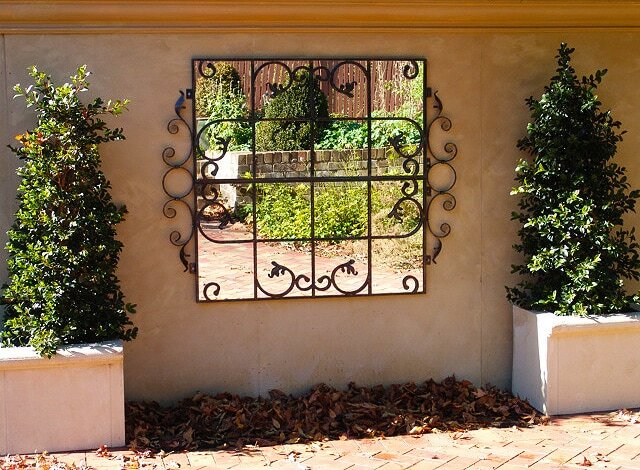 Stylish and elegant to suit many landscape design settings. 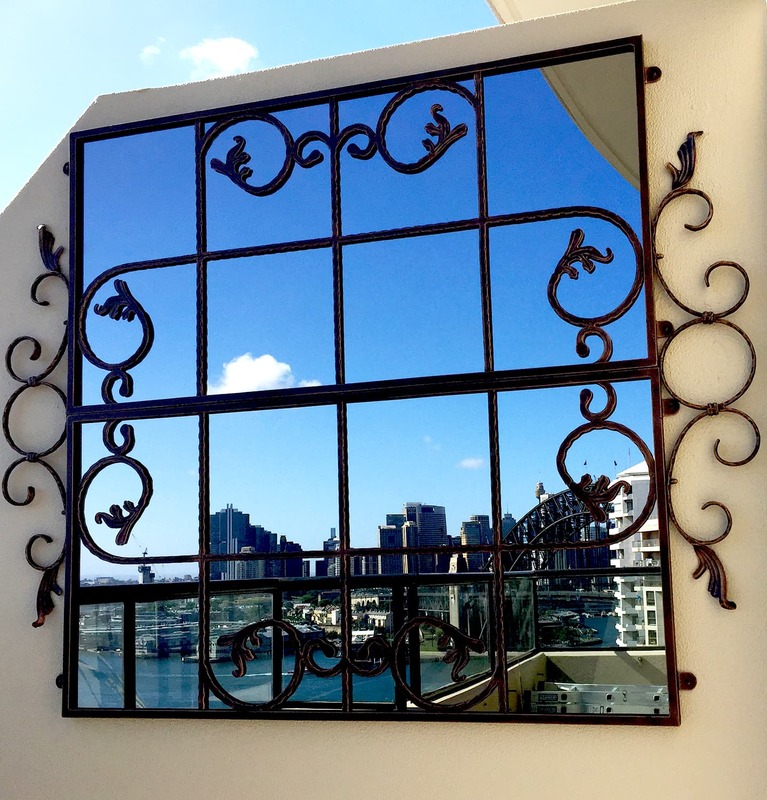 Designed so it can be hung with the scrolls landscape or portrait to suit your exact space. 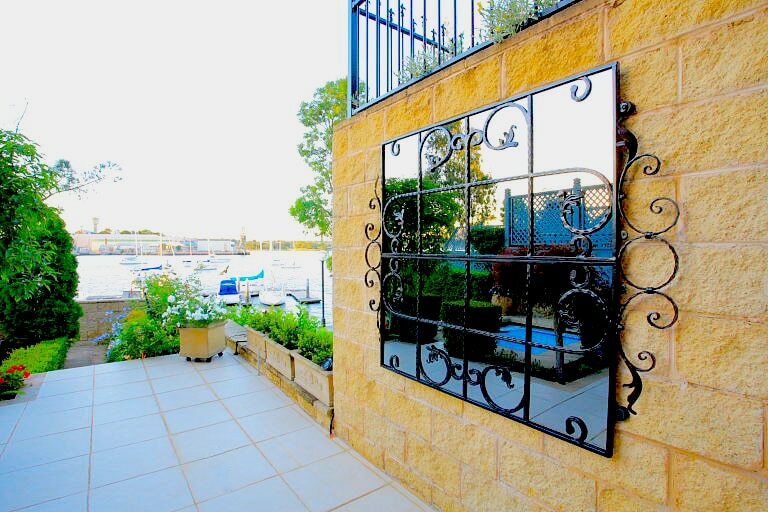 It is also fitted with a non-glare mirror to reflect your garden or courtyard perfectly. 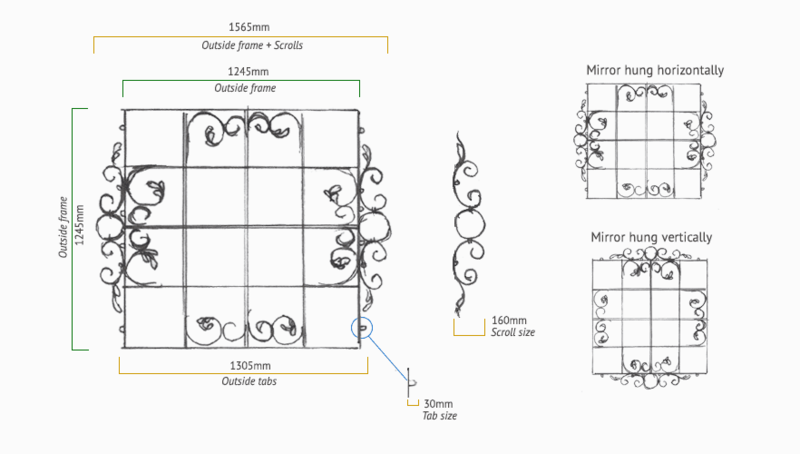 This gorgeous design will bring any garden area to life while complementing your own style. Made individually in solid wrought iron and hot dip galvanised to last outdoors. 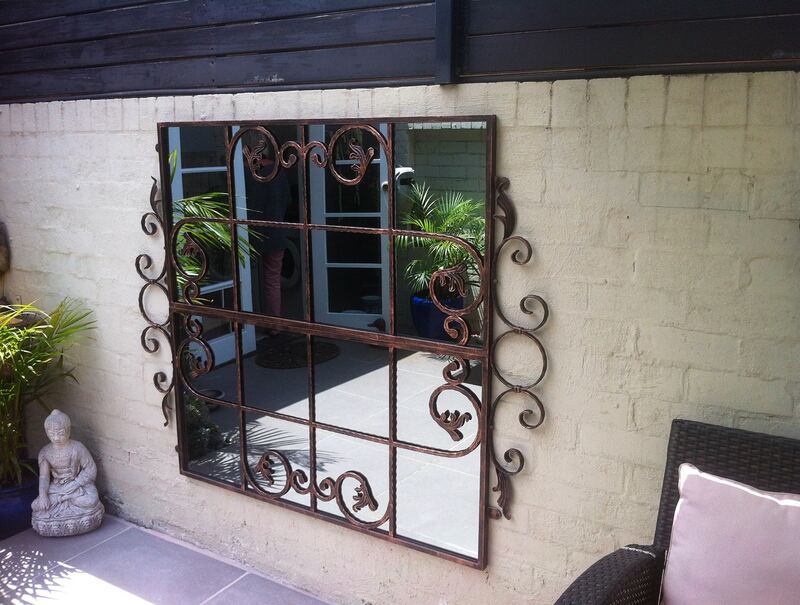 This two piece outdoor mirror is available finished in black or black brushed with copper. 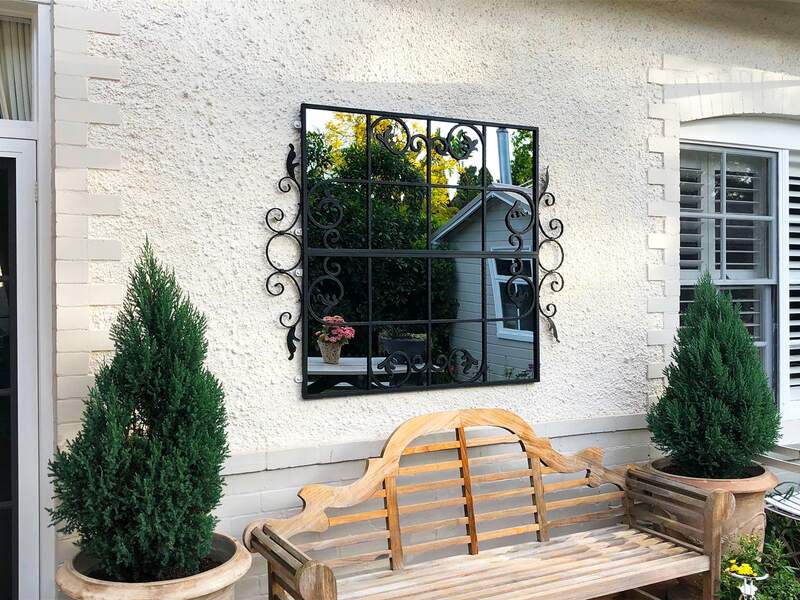 Want to see a larger version of this outdoor mirror? We freight at cost to your door and deliver Australia wide - ready to hang | Sydney| Brisbane | Melbourne | Adelaide | Perth.